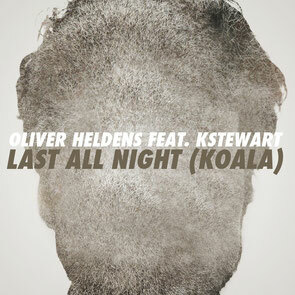 Oliver Heldens recently released his new single, ‘Last All Night (Koala)’ with KStewart, on iTunes via FFRR Records. His first release last year on Pete Tong’s FFRR label, ‘Gecko (Overdrive)’ hit the top of the UK singles chart and appeared on Shazam’s forecast for the top songs of summer 2014. With the release of his next FFRR single, ‘Last All Night (Koala)’ featuring KStewart, 19-year-old Heldens has possibly positioned himself for another breakthrough year. Although the instrumental version of the track has amassed over two million plays on Soundcloud, KStewart’s soaring vocals only add to its appeal, highlighting its punchy synth melody.